SUPERSIZE HAS LANDED! 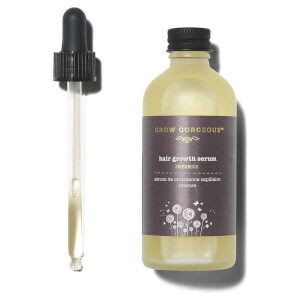 Our best-selling Grow Gorgeous Hair Growth Serum now comes in a SUPERSIZE bottle! With an extra 30ml for only £10 more - what are you waiting for? For those who want to kick-start their way to Rapunzel-esque locks, this serum will have wondrous effects on the thickness, fullness and overall health of your hair. Achieve visibly fuller, thicker and healthier hair with the Grow Gorgeous Hair Growth Serum. I have tried this grow gorgeous serum for a few months my friend had gifted it to me I must say it works wonders and my hair is really dry it’s nourished it and my hair feels so much hydrated and nourished . It feels amazing really do recommend it . Holy grail product . So happy they developed a bigger size of this product, it actually last me a whole 2 months longer than the smaller one! Absolutely love this serum, it is perfect for my hair hair type. It really gives me more baby hairs! Highly recommend!